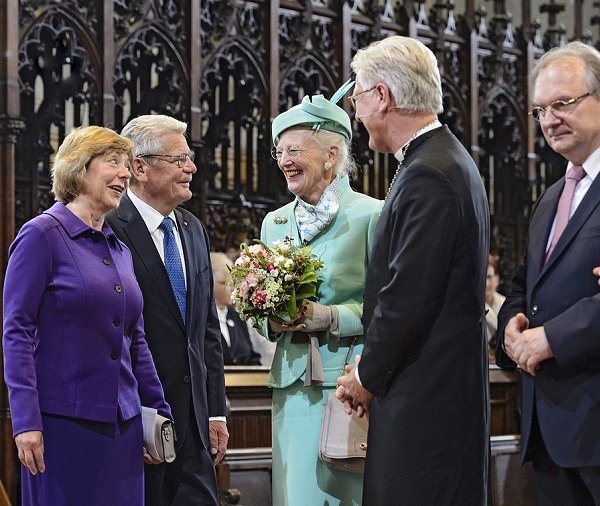 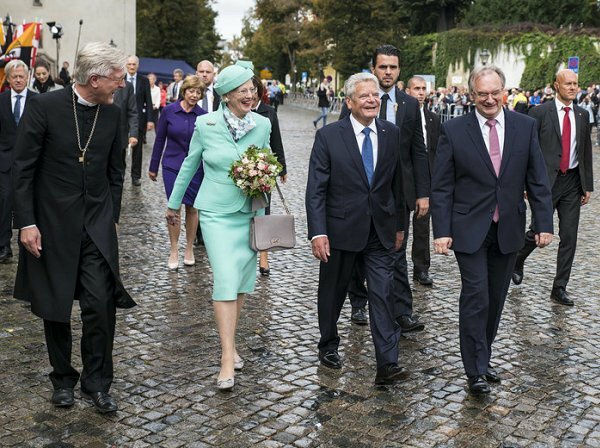 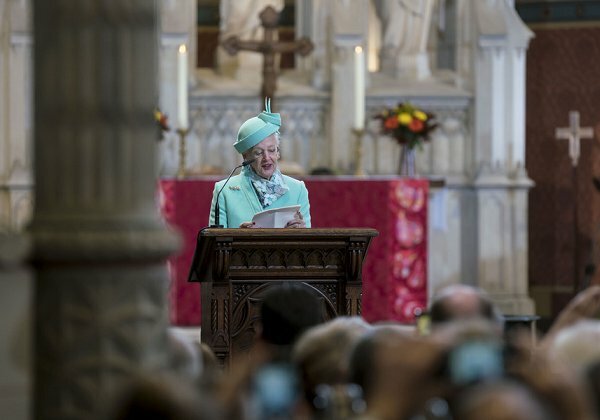 Queen Margrethe II of Denmark attended the reopening ceremony of the All Saints' Church on October 2, 2016 in Wittenberg, Germany. 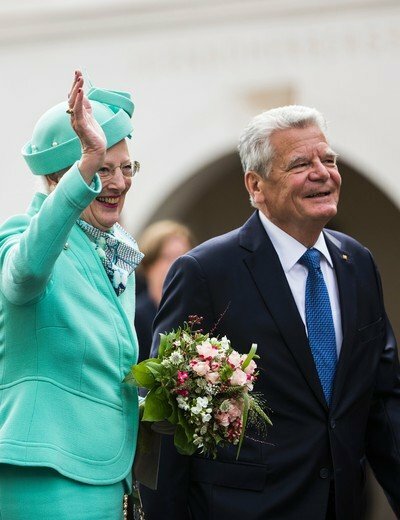 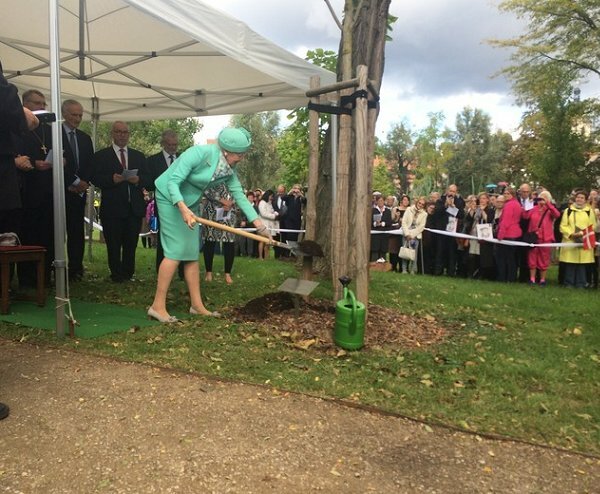 The Queen attended a tree planting ceremony during her visit in Wittenberg. 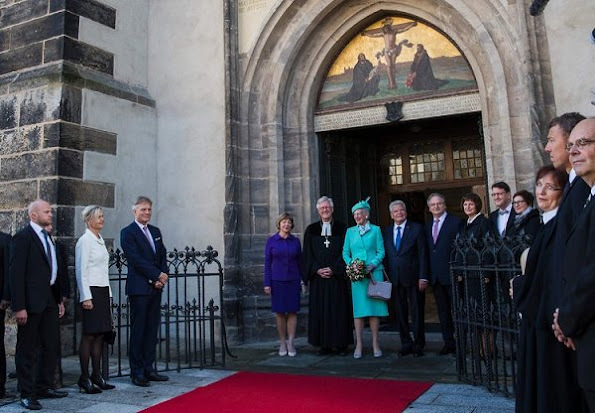 It was in Wittenberg that Martin Luther lived and preached, and on October 31, 1517, nailed his 95 theses to the door of the church and starting the protestant reformation. 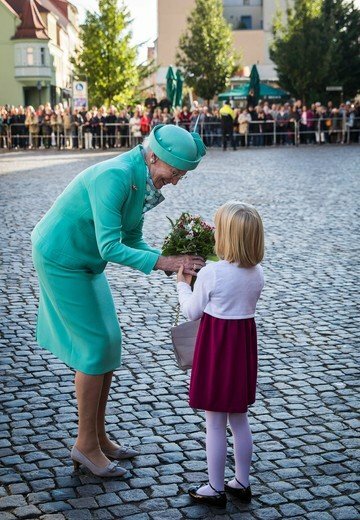 It's refreshing to see story's of the older royals too. 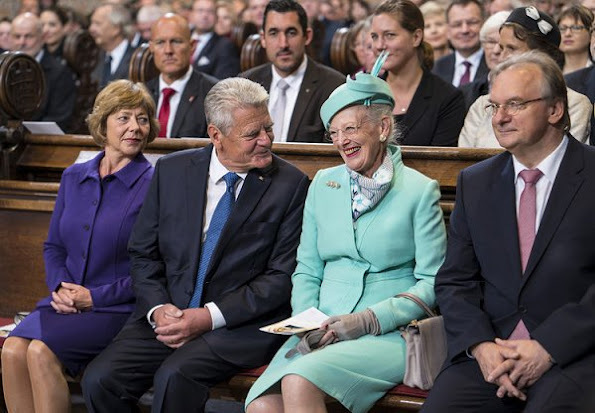 And Daisy looks good even if I don't like this green color on her.